Read more about what interactive prayer stations are about, possible layout for prayer stations, and how my church came about implementing prayer stations into our Sunday worship. I so love the beauty and creativity you are exploring in prayer here. Keep up the good work you are doing for the glory of his kingdom! 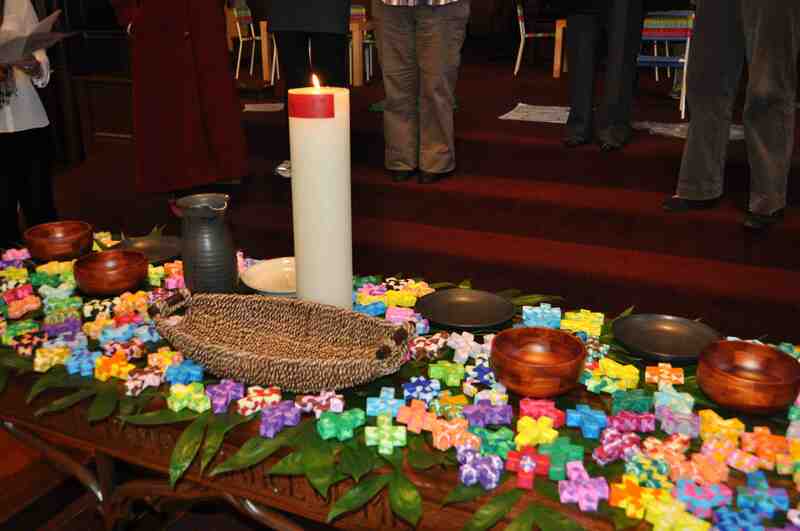 Thereas, I attended the Advent workshop at Montreat last fall and came away very energized. My congregation said after Advent that they got their $$ worth for sending me! I appreciare all the ideas you share on Still Waters as well. Thanks!